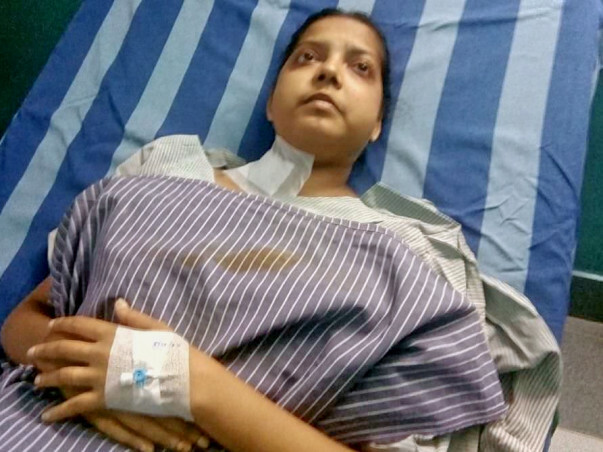 28 year old Asha Sreekumar has been suffering for a while now. Diagnosed with a kidney failure, undergoing transplantation is the only way to bring her life back. 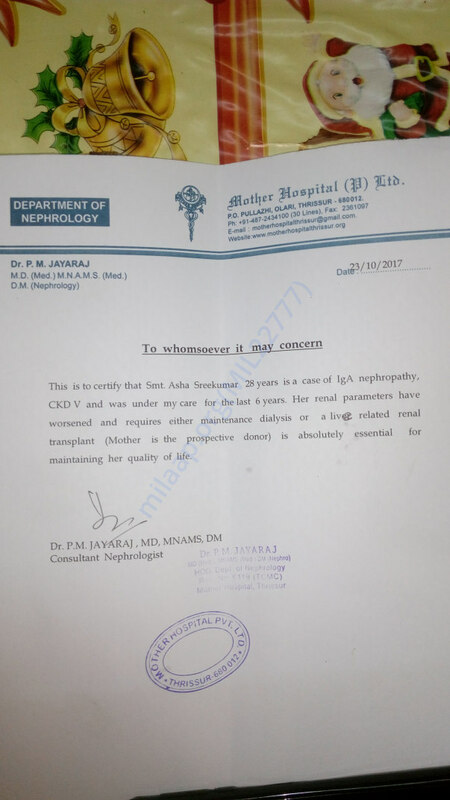 Asha now needs to undergo kidney transplant at the earliest before her condition worsens as she has already became so weak. 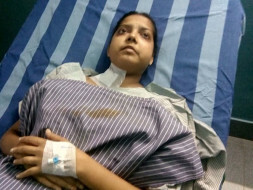 For her kidney transplant, her mother has agreed to donate one of her kidney to her daughter in order to save her life. 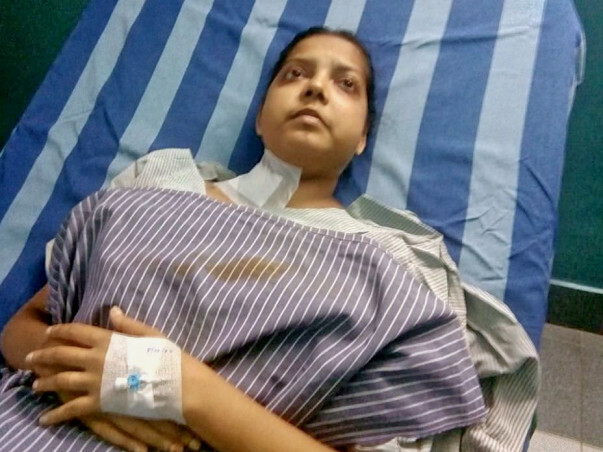 Estimated cost of entire treatment is 10 Lakhs, however with no income to speak of ( she is unemployed, husband is a driver with average monthly income of RS 10000 and they have a five year old son) , the family is at a loss to fund the transplant that can save Asha's life. They do not have enough to continue with dialysis either. Asha is young and has her son's entire future in front of her. Give her a chance to make most of it. The specifics of this case have been verified by the medical team at the concerned hospital. 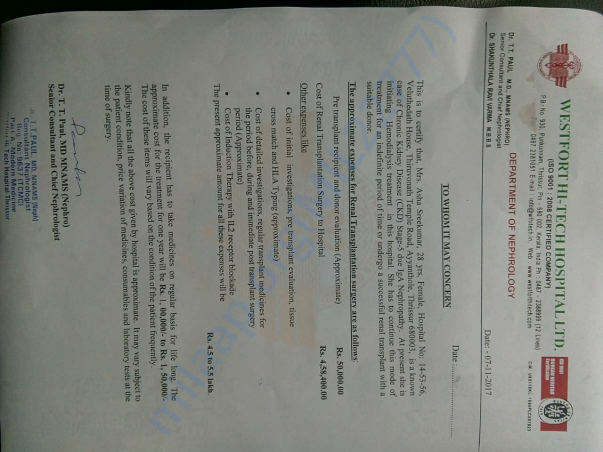 For any clarification on the treatment or associated costs, contact the campaign organizer or the medical team. We are looking forward to transplant in January. Treatment is undergoing at WestFort Hi-Tech Hospital, Thrissur, Kerala.